Genetics and genomics is an exciting area of scientific research, growing in its importance. It will let us learn more about us and help cure many diseases. 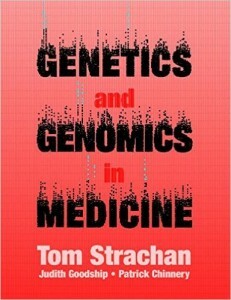 A good recent book on this subject is “Genetics and Genomics” by Tom Strachan, Judith Goodship and Patrick Chinnery. SNP (pronounced ‘snip’) is the short term for Single Nucleotide Polymorphism. The Rs1815739 SNP for example will tell you whether you are likely a sprinter or an endurance athlete.